The contest is now closed. Earlier today I reviewed the new Apple TV player in a head-to-head comparison with Roku's new XDS model. 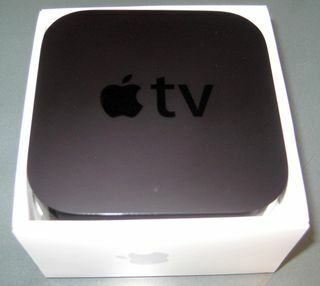 As a result, I have one extra Apple TV unit to give away to a lucky reader of my blog. To enter the drawing, all you have to do is leave one comment on this post and make sure you submit the comment with a valid email address. The drawing is open to anyone with a mailing address in the U.S. or Canada and the winner will be selected at random on October 18th. I'm also giving away a Roku XDS unit and you can enter that drawing here. Congrats to Gina Sepowski who won the Apple TV.